We realize that customers searching for a BMW dealership in Fresno are looking for an important aspect: a great car buying experience. That’s why BMW Fresno has made well-executed and sincere customer service a top priority. We are focused on not only providing you with a wide and high-quality collection of new BMW and pre-owned cars to choose from, but we make sure that picking auto financing options for your vehicle choice is easy to understand. In addition to financing your new and pre-owned car, BMW Fresno offers high-quality BMW auto repairs at our Service Center as well as premium car parts for sale. 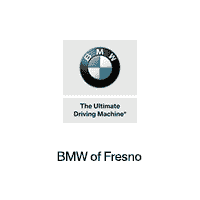 So if you’re looking for a BMW dealer that’s looking to put the customer first, look no further than BMW Fresno. Want a vehicle with style and substance? Then take the wheel of one of our new 2018 BMW cars in the Central Valley today. We have the latest new 2018 BMW vehicles readily available at our dealership such as the new BMW M2, i3, Z4, and more. If a new BMW car isn’t on your radar, we also offer luxury pre-owned BMW cars, trucks and SUVs that are road-tested and ready to go. Our BMW auto technicians have made sure each of our pre-owned cars perform with like-new capabilities. So whether you’re in need of a pre-owned BMW vehicle in the central valley, be sure to visit our dealership to satisfy your vehicular needs. If your vehicle needs maintenance, our experienced, on-site BMW car repair technicians deliver high-quality service and repairs with the utmost care and respect for your vehicle. BMW Fresno customers can always count on us for a fully stocked inventory of BMW car parts. Reach BMW Fresno any time by filling out our contact form, by calling us or visiting the BMW Fresno dealership on Palm, just north of Herndon at 7171 N. Palm Ave. We look forward to seeing you soon!